52 Weeks #34: Woodworking and Disney?? Not a lot of shop time for me this weekend as we took a trip to celebrate my daughter’s and grandfather’s birthdays. My daughter turned 5 last Thursday and she shares this birthday with my grandfather, she was quite surprised to find out that when we picked her up from school we were boarding an airplane. She was treated royally be the staff in Disney World. We surprised my grandfather as well on Friday in his home town and spent the day with him before leaving Saturday morning to spend a few days at Disney World. Now you may ask what does this have to do with woodworking… well for starters it is my grandfather (that I have mentioned here before) that is an inspiration to me and my woodworking. He lives in a two bedroom rancher, and the spare room for him is his own private workshop. He celebrated his 90th birthday on Thursday and is still going strong building yet another dollhouse from scratch. Secondly, I am a big fan of the technology and creation of Disney parks. There are some good examples of woodworking in various places around the parks, the strongest of which is in Epcot’s World Showcase. Have you ever stopped to look at the Norwegian Stave Church? I just found out there is an exhibit inside of it on Vikings (never noticed before so not sure if it is new or not) Also in Mexico there is a large collection of carvings. But for me the item I have been looking for was in Japan. This is an image of the puzzle box I bought. I have wanted to purchase one for quite awhile. I also found the website for the makers. The Karakuri Creation Group. There are some really cool puzzles here. I did see a few of them in the store in Japan. Some of them quite pricey. However I plan in the future to pick up a few more of the type I bought to make a set.If you look under the Karakuri Small Box tab on this site you can see the whole set. So that is how this past week went, the next one is open and should be interesting as there is a lot to do at work and my daughter just started kindergarten. Hope you all had a good holiday weekend if you are over here and hope everyone has a great week in and out of the shop. Good luck to you and your daughter. 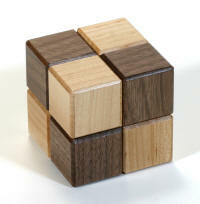 That is a really cool puzzle box…did you say you are planning to make one yourself? Hey Spunwood, thanks. The box is really neat and I am not sure at this point as to whether or not I will attampt to make one like it. I may though attempt something in the future.